Two Montana hunters, Jeff and Jerry, were deer hunting in the Lolo area, near Elk Meadows, during the 2012 hunting season. Jeff was thrilled to see a deer run through the brush close to where they were. Just as Jeff sighted in on the deer, and was about to pull the trigger, a wolf ran up right behind it! 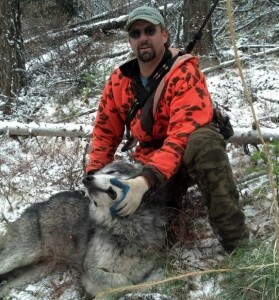 Jerry, without hesitation, shot the wolf. 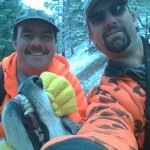 Even though Jeff didn’t get his deer that day, Jerry was able to do his part in helping to manage the growing wolf population. 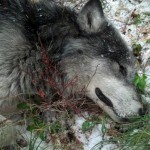 The wolf weighed in at a healthy 110 pounds. 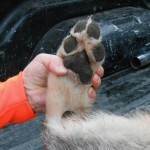 This is an example of why it’s a good idea to buy a wolf tag, even if you don’t plan on wolf hunting. You just never know when you are going to see one.